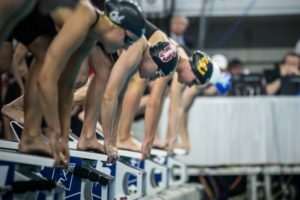 Watch heats two and three of the 2019 women’s 800 free relay. As we approach another decade, few things remain constant. Except Indian River’s dominance of NJCAA swimming. 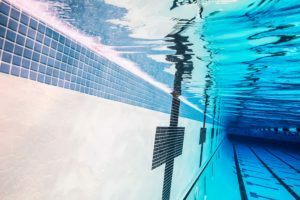 Indian River swept the day’s events on day 3 of the 2019 NJCAA Championships. 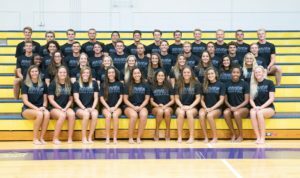 The Indian River men and women, thanks in large part to a contingent of South Africans, are on their way to extending decades-long winning streaks at the NJCAA championships. After just one semester at Indian River State College, Baxter has already set three new NJCAA records. 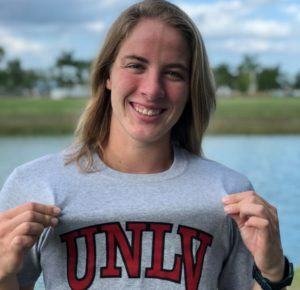 South African freestyler Camryn Wheals will head to Las Vegas after her 2-year stint at IRSC. 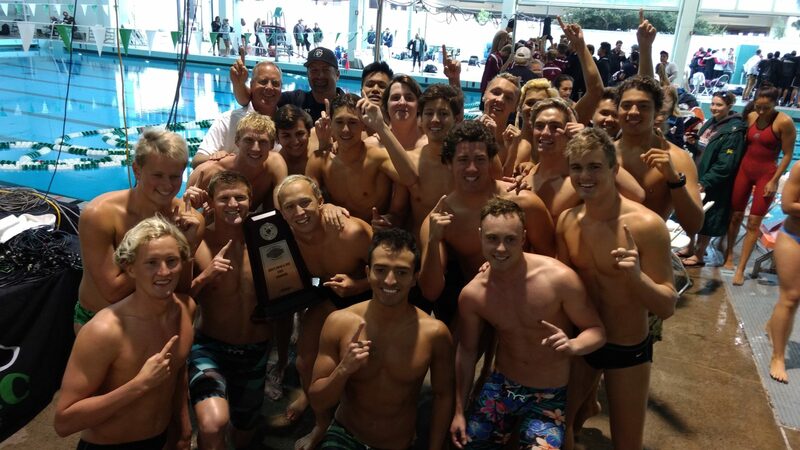 A year after the Sierra College men won their first-ever state title, Golden West College climbed back up to the top of the podium at the 2017 California Community College Swimming and Diving State Championship. The Rustlers won their fourth state men’s team title in the last five years and the 16th state crown in their history (the first was in 1985), while defending state champ Sierra placed second. 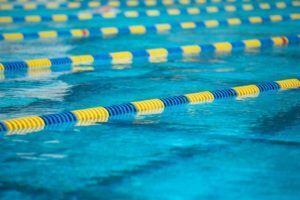 Golden West led the field after competition on all three days of the 2017 state meet. It was crowded at the top after Day One, but the Rustlers got the edge after winning the 400 medley relay (Aidan Lund, Miles Dunn, Sonny Ford, and Chadd Maurer, in 3:23.12) with a come-from-behind win over Riverside (3:24.23). Sierra won the opening 200 free relay with Michael Crouch, Stetson Wheeler, Shane Triplett, and Jeremiah Olmstead (1:23.39). 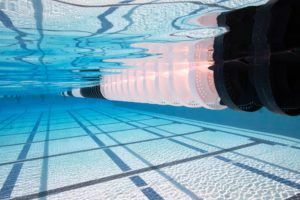 Drew Sipple of Santa Rosa was a double winner in the distance freestyle events, avenging last year’s loss in the 1650 over the final 25 yards. In the 500 he traded stroke for stroke with runner-up Zhen Teo of Santa Monica, but pulled ahead at the 400 and never let up, winning 4:32.37 to 4:32.94. Sipple made more of a statement on Day Three in the 1650; there he won in a dominant 15:39.00. Pasadena City College freshman Sydney Odent dropped just over 21 seconds to finish second with 16:10.37. Riverside’s Farouk Zaoui, who was third in the 500 free (4:35.21), won the 400 IM (4:02.22) and the 200 fly (1:54.92). Sipple took third in the 200 fly. Zaoui and Sipple were both honored at the end of the meet with Co-Men’s Swimmer of Year awards. Pasadena’s Samuel Jo won the backstroke events, going 50.20 in the 100 and 1:49.79 in the 200. Aidan Lund of Golden West was runner-up in both, touching 1.1 seconds behind Jo in the 100 (51.65) and 2.8 back in the 200 (1:52.53). 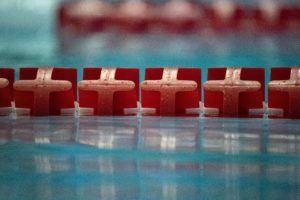 Las Positas’ Matt Lee (51.65) and Emil Graversen (1:53.06) picked up the bronze medals in the 100 and 200 back, respectively. Riverside sophomore Maxence Bouvier claimed state titles in the 200 IM (1:50.99) and 100 breast (54.93). De Anza’s Darren Chan Chin Wah took second in the breast with 56.22 and third in the IM (1:52.10). Chan Chin Wah emerged victorious in the 200 breast, though, coming from behind to out-touch Golden West’s Santiago Rivera, 2:01.99 to 2:02.07. It was an exciting finish, with Bang Kai Chao (2:02.23) and Santa Rosa’s Bradley-John Erickson (2:02.51) coming to the wall just behind the leaders. Rivera was runner-up to Zaoui in the 400 IM with 4:04.56. R.J. Williams of Santa Rosa doubled in the 50 free and 100 fly. In the former, he upset top-seeded Maurer of Golden West, winning by .41 with 20.37. Third place went to Orange Coast’s Donny Hadden (20.82). Williams beat Hadden in the 100 fly, jumping out to an early lead and hanging on for a 48.57 to 50.41 victory. Santa Monica’s Teo, who touched second in the 500, won a close battle in the 200 free. In one of the most exciting events of the meet, he came to the wall just .02 ahead of Golden West sophomore Maurer. Teo was up by a half-second at the 100, but Maurer took over the lead at the 150. With the two sprinting home, the crowd was on its feet. It wasn’t until the waves settled that they learned it was Teo with a 1:38.62-to-1:38.64 win. Maurer got his revenge in the 100 free, though; he was out first, turning .20 ahead of Teo at the 50 wall, and won in 44.93. Teo was runner-up with 45.38 over Orange Coast’s Hadden (45.53). Travis Russo of San Mateo claimed the gold in one-meter diving with 246.85 points. Chaffey’s Noah Luna grabbed second with 229.40 points and Riverside’s Brenden Brown was third at 212.25. On the three-meter board it was Luna with 252.50 points for the win. He was followed by Russo (233.70) and Las Positas’ Johnny Stalie (203.40). Golden West won two more relays, the 400 free and 800 free, with Garrett Wasserman, Blake Williamson, Jacob Thompson, and Maurer. Riverside (Arnaud Magnan, Bouvier, Lazar Raca, and Kyle Acevedo) clocked a 1:32.54 to win the 200 medley relay. I’ve always been curious if these athletes continue on to 4 year schools? I regularly see announcements of Indian River athletes signing here and there, but not from these schools. Is there a way to track where these athletes land if they move to 4 year schools? Some do. I remember guys and one of the women from Golden West in the 1970’s that went to swim for Cal State Long Beach. One women swimmer here not listed since she was in the 1976 roster went to swim for a four year school in Canada. The current Golden West men’s team on the roster had some international swimmers, so they are probably more likely to swim four year. Some coaches in the CCCAA are more concerned about times and not grades. Good to know, thanks all. Gabriel Hernandez, who swam his senior year for UCSD and took silver in the 200 fly and bronze in the 400 IM at the 2017 NCAA D2, was a Golden West Alum.